As we all know the sun is the greatest enemy in maintaining our youthful healthy skin. It destroys the collagen… dehydrates and depletes the vital vitamins and minerals that the skin needs for optimal function and youthful appearance! Dry dehydrated skin needs careful attention… neglecting your skin will more often lead to further problems like premature skin ageing which could have been avoided with care. Hydrate with Serums and Moisturisers in the Algologie’s Hydration range intensely hydrate the skin cells. Introducing and retaining moisture, nourish and rebalancing the skin for immediate results and a velvety silky skin bursting with moisture. Boosting hydration and nourishment with all the minerals and vitamins from seaweeds… Fortified with Hyaluronic Acid’s powerful moisturising properties and more ingredients to trap moisture in the deeper layers of the skin… are just some of the key elements in the moisturisers and serums. 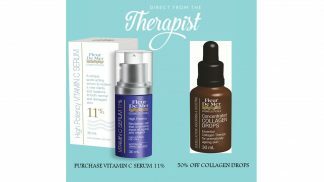 At Direct From the Therapist, the Skin Care specialist we know all about the moisturisers, serums and we even have boosters in the Algologie Range. The best approach to maintaining a healthier looking, hydrated and nourished skin. Remember preventing skin ageing is always easier than correcting. How to combat dry, dehydrated, moisture-starved skin! Especially in winter, ‘hydrating skin care’ is in high demand. Algologie Skin Care has a specifically designed professional hydration range – “Des Vague” French for – “The Waves”. Moisture-packed… Serums, Boosters, Exfoliants, Masks and Moisturisers…leaving the skin visibly hydrated, plumped and replenished. Genuinely acting like a “WAVE” of freshness and hydration on the skin. Algologie’s Hydration range – Is a Hydrating and nourishing cocktail of intricately chosen ingredients to help reinforce the optimal degree of hydration. To explain living in the present is to start by living life to the fullest right now. When you aren’t being present you become a victim of time. Your mind simply wanders into the past or the future, or even both. Your thoughts are of the past: what has been? what may have been? did it happen? Or didn’t it happen? It’s only natural to spend moments of thought in the past or the future. Just don’t let them eat you up! 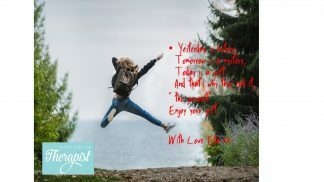 MONITOR – Check that you are on track, appreciate the moment of just living for today. RE-EVALUATE – Continuously re-assess the most important things of the moment. The sun directly contributes to the degradation of collagen in our skin. 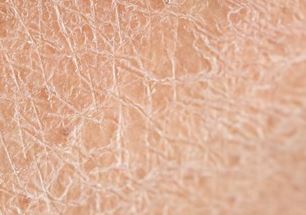 Quite simply – the less collagen in our skin the more sagging the more wrinkles the quicker the ageing. By introducing collagen to the skin with peptides to stimulate the growth of collagen you are fighting the collagen depletion. Vitamin C is known for benefiting and supporting collagen. Together Collagen and Vitamin C’s AntiOxidant value work hand in hand to firm and strengthen the skin. This will give a recognisable anti-ageing appearance and healthy skin glow. For best results use morning and night. Apply to face perfectly cleansed and dried. Gently massage in approximately 6 drops to each side of face and eyes area, until completely absorbed. Apply your usual skin care and sunblocks etc. Vitamin C Serum application is best at Night. If Vitamin C is applied of a morning, stay out of the sunlight and wear sunscreen. There will be protection from free radicals, however, Strong sunlight can oxidize the serum on your skin. FleurDeMer Vitamin C 20% & Collagen deal is great for the intense combination of these two serums that work in unison. They will give quick results, with effervescence and vitality back into your skin. Staying hydrated with fluid intake helps keep you well hydrated. 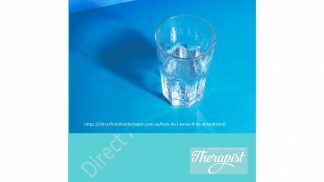 There are so many incredible benefits for your health, skin and mind that make drinking water, JUST MAKES PURE SENSE. 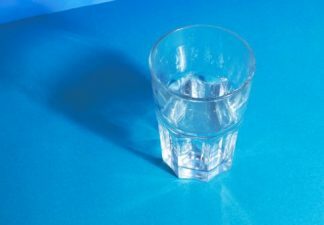 If you drink a lot of water but aren’t sure if it’s enough, here are some telltale signs that you’re dehydrated. This is the most obvious one. Being thirsty is the body’s first indicator of dehydration. If you’re feeling thirsty, it’s a sure sign that you need to hydrate. The colour of your wee is a good indicator if you need to drink more water. If your hydrated, your wee should be a pale lemon colour. when your wee is a yellowish colour or darker you need to drink more. I know this is a well-known fact, however, we’re often too busy to notice, and don’t even take heed of one of the most obvious telltale signs. your body is dehydrated, this may present in the form of a headache. Lack of water can cause a decrease in the elasticity of your skin, dryness and clarity leaving its overall appearance dull. When your skin isn’t feeling hydrated and looking hydrated, it probably needs a real conscious effort to drink more water and add a booster the skin with a serum. Are you experiencing any of these symptoms? SIMPLY DRINK MORE WATER!! Free Shipping | Alogolgie | Afterpay | Christmas Gifts | On Sale | Unique Deals, We have it all Daily deliveries of Algologie, Fleur De Mer, Osaine products. We have the lastest products including the unique new Algologie Rivage Resurfacing Night Balm. 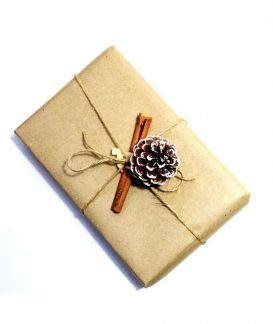 We offer Gift Wrapping, we can deliver parcels to your loved one, for you to save on time and postage. Pop on and see our Gift Wrapping All sales over $100 have free delivery. We deal is only quality professional products. We have Afterpay for your convenience. Algologie Rivage Resurfacing Night Balm Replacing: New Lift & Lumiere Firming Night Cream . Double Firming and Renewing Action. 50ml Anti Age Correction Balm. Algologie Rivage Resurfacing Night Balm This new unique cream contains tiny quantities of AHAs. The perfect quantity that will gently remove unattractive dead skin cells. It stimulates cell renewal for a resurfacing effect. This night balm works with a powerful anti-wrinkle and firming action. reduces the appearance of wrinkles, hydrates dry skin leaving it with a silky soft appearance. The cream works through the night, leaving the skin with a glowing youthful Looking skin in the morning. The discovery of the blending of 4 new natural seaweed extracts known as the ALGO4 COMPLEX was patented by Algologie and introduced into nearly every one of our products including this fabulous new Night Balm. This product will be very popular. It does so much. One of my most favourite products as many of you know, is Lift & Lumiere Firming Night Cream is being replaced by Algologie Rivage Resurfacing Night Balm. I hear so very often ” why are they deleting, this product it’s my favorite“? Well it’s me saying it this time. But I know better than saying that. When Algologie formulates and releases new Ingredients like ALGO4 COMPLEX they put the latest technology and ingredients into the formulation. 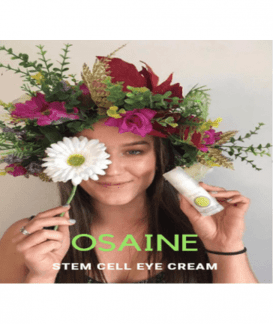 OSaine Stem Cell Eye Cream Concentrated emulsion, rich in vegetal stem cells that, in promoting a the rejuvenating process, cancel time and fatigue marks. This formula also contains filling microspheres, to erase small wrinkles and expression marks immediately. Also effective in lips contour treatment. Place a small amount of the product on your ring fingertip and gently tap the zone until complete absorption. Ellie’s testament: My husband isn’t a romantic who look into my eye’s all the time; however after using the OSaine Stem Cell Eye Cream for 6 weeks he very seriously looked and stared AT my eyes. Joe asked me if I had some botox or (His words, that filling stuff women put into their face). So for Joe to notice it must be really good. I had to share this one testament it was so funny, even funnier if you knew what a blokey bloke Joe is. Global Anti Ageing Redensifying & Plumping Mask Algo 4 Complex, is a rich velvety cream mask with a soft and gentle fragrance. Does not dry or harden. Not only does it comfort and nourish face and neck but it’s very deeply moisturizing and plumps. This action leaves skin looking visibly younger. Algo 4 Complex: Comprised of Undaria Pinnatifida (Brown Algae) , Porphyridium Cruentum (Red Micro Algae), Alpine Sea Holly and Sea Fennel. To protect, oxygenate, nourish and stimulate the skin. Winter Booster After Winter. We have several boosters in our Algologie Range one of my favourite boosters is Maceration and Centella used Morning and Night for 3 weeks and your skin will feel amazing. Layer by firstly applying maceration after toning, place Centella over the top. Gently massage the layers of the serums into the skin. Allow five minutes for the skin to allow good penetration before putting on day or night cream. It provides a brilliant and quick repair of skin tissue and wounds including recently caused scars, burns and other skin disorders. Do this routine morning and night for 3 weeks as a booster. Your skin will improve and gives vibrancy to a healthy looking Skin. It Prevents and reduces fine lines. Vitamin A – Stimulates skin Regeneration. Vitamin B – blocks moisture in the skin. Vitamin C – potent anti-oxidant, stimulates collagen. Wherever we live or work our skin and bodies are being invaded as never before by dangerous oxidative sources as industrial pollution, exhaust fumes, the suns UV rays, rancid fats and oils, highly refined foods, stress and lots more. As a result, an oxidation process creates in our bodies harmful toxins called free radicals which can have an ageing and damaging effect on our skin and internal organs. To help combat these harmful effects, products known as antioxidants must be considered. This is why with the latest technology Sincerity Grape Extracts Anti Ageing Range has been developed. and their derivatives which are very rich in antioxidant (i.e. anti-free radical) properties as well as the wonderful medical benefits of resvertrol. antioxidants. But you don’t have to drink it to get the benefits of grapes and their precious extracts. Be assured that you will be giving your customers proper care and safe guards from the harmful effects of the environment. Sincerity Grape Extracts Anti Ageing Range Wherever we live or work our skin and bodies are being invaded. Dangerous oxidative sources such as industrial pollution, exhaust fumes, the suns U.V. rays, rancid fats and oils, highly refined foods, stress and lots more are invading our Bodies. As a result, an oxidation process creates in our bodies harmful toxins called free radicals which can have an ageing and damaging effect on our skin and internal organs. To help combat these harmful effects products known as anti-oxidants must be considered. Always in search of innovative products as close to nature as possible, Sincerity has now researched the amazing benefits of grapes and their derivatives which are very rich in anti-oxidant polyphenols. Sincerity has created the ultimate range with excellent anti-oxidant (i.e. anti-free radical) properties, and appropriately called Grape Extracts. We now know why so many doctors recommend a glass or two of red wine every evening. It’s because of the high concentration of valuable anti-oxidants. You don’t have to drink it, to get the benefits of grapes and its precious extracts. Sincerity Grape Extracts Anti Ageing Range provides all the anti-ageing properties of grapes, grape seeds etc in its unique beautiful products. This is a new and very comprehensive range which is a joy to apply both day or night or both for more rapid results. It contains powerful antioxidant grape extracts to help protect our tender face and neck from environmental pollution and damage. Contains recently researched anti ageing ingredients including a safe peptide. Sincerity Grape Extract Anti Ageing range with its unique quality intense ingredients quickly and very noticeably reduce signs of wrinkles and ageing. It also nourishes, firms and hydrates the skin. Palmitoyl peptides, in particular, provide an anti-wrinkle effect. Sincerity has taken the active elements found in this range straight from the humble grape. This full range will protect and nurture your skin providing 7 very reasonably priced perfectly anti-ageing. MATRIXYL: The internationally proven peptide for nourishing, hydrating and firming the skin. unsightly puffiness, and dark rings around the eyes, and wrinkles. WINE EXTRACT & VINE LEAF EXTRACT: Rich in flavonoids to protect from and prevent free radical damage. EXTRACT FROM WINE ITSELF: Its anti-oxidant effect reduces premature skin ageing. its high content of Vitamin E. Very nourishing. dark rings around the eyes and fine lines around the eyes. RESVERATROL: The beneficial effects of red wine are considered to be due to this antioxidant found in grape skin and wine. SODIUM HYALURONATE: This hydrating ingredient maintains the level of water in the superficial layers of the skin. GLYCERINE: Glycerine has humectant properties and maintains the level of water in the superficial layers of the epidermis. 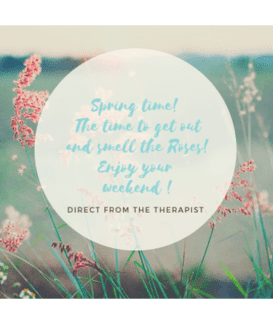 GREEN TEA & LOTUS ESSENTIAL OILS: Fresh fragrance with antioxidant properties. application is a moment of pure pleasure. Skin is kept refreshed and hydrated. and dead cells thanks to the Exfoliating Jojoba. Grape Seed Oil provides essential nourishment for cutaneous integrity. Wine and Grape Leaf extracts prevent premature skin ageing and reinforce the epidermis. vinotherapy. A cocktail of regenerating and anti-ageing active ingredients to firm, smooth and tone the skin. visible, skin firmer and complexion fresh and luminous. from the most effective and safe source… nature. of the epidermis. The skin becomes younger, firmer and better protected. Be assured that you will be receiving steps towards, proper care and safeguards for your skin from, the harmful effects of the environment.